All of our kitchen units are custom made to your specification. 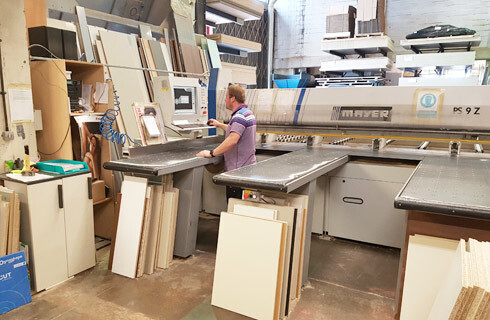 There are over 120 designs and colours to choose from, with the ability to customise every aspect of the cabinet such as cabinet edging, shelf positions, width & height & drawer colours. 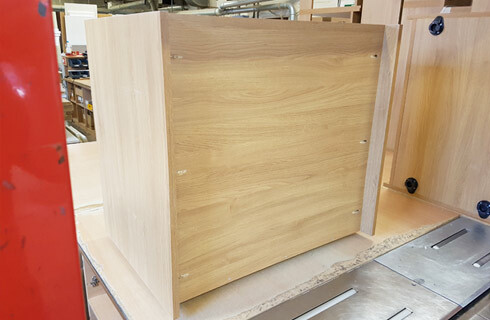 Our kitchen cabinets standard specification includes 2mm ABS edging, solid 19mm back, solid tops free of charge and the option to choose between cam & dowel and glue & dowel construction methods. We have combined this with the option of award winning Hettich or Blum mechanisms which together with our cabinet specification ensure that we have one of the highest quality cabinets in the UK market. We can supply kitchen carcasses in over 120 designs. Made out of high quality Egger MFC, our carcasses are built to last. With us you are not just limited to few colours, you can actually choose a design/colour that best suits your kitchen doors. As our kitchen carcasses are bespoke made, you can even select different edging design. 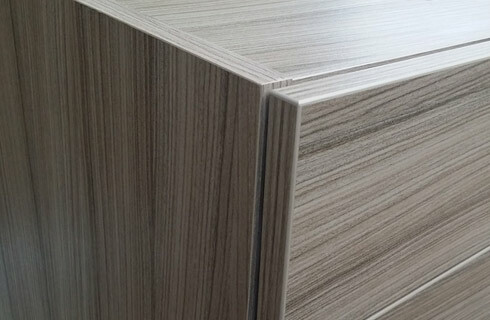 All of our kitchen carcasses are supplied with matching 2mm ABS edging. Our kitchen cabinets really can stand the test of time and offer a quality that far exceeds expectations. Some of the features that make our kitchen cabinets stand out are the 18mm solid back panel, 18mm solid tops free of charge, ability to choose between cam & dowel or glue & dowel construction, award winning German Hettich or Blum mechanisms and the ability to customise kitchen units to your requirements. Our kitchen cabinets also feature 50mm void and also 150mm adjustable legs. 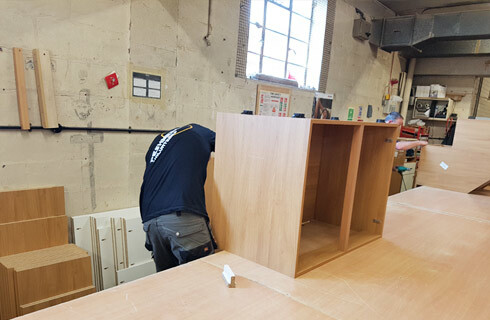 Our kitchen cabinets are fully assembled and quality checked by experienced cabinet makers. This ensures that you only receive kitchen cabinets of the highest quality and free of any defects or issues. Once the cabinet has been assembled, it is fully cardboard wrapped and ready for delivery to your home address. Cabinet deliveries are carried out by dedicated transport vehicles. Our cabinets are manufactured by using proven high quality automated machinery to ensure millimeter accurate precision and quality. Production facilities include CNC machines, beam saws, table saws, edgebanders, drills & most of all, experienced machine technicians. To ensure fast delivery times, large amounts of Egger MFC boards are fully stocked and ready for production. Typical lead times for kitchen cabinets is between 10-14 days.